Fruits, Vegetables & Daily Essentials on Subscription! Each box contains 10 varieties of fresh and seasonal produce in generous portions. With a nutritional powerhouse of vegetables, fruits and salad dishes to keep your stomach satisfied and your mind happy. Switch to hassle-free, automatic delivery 8 times per month. Just pay Rs 500.00 once you order your first subscription box. Pay the rest if you are happy with your first box. Didn't like the box? Get complete refund in the form of FarmersFZ Wallet Credits. First 500 Subscribers get flat 10% off. So, hurry up! Choose your box size according to your daily needs. Do you love fresh, organic, safe to eat fruits and vegetables which tastes like real food, but you don't have a home garden? Let the farming come to your doorstep. Subscribe to goodness. 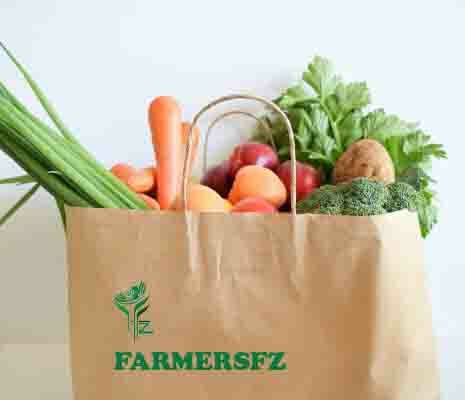 At Farmers FZ we offer a well-rounded variety of fresh fruits and vegetables just for you and your family. Our farmers handpick the choicest produce, so we can deliver it to your doorstep. 4-5 vegetables will be selected from our farms which have 40+ vegetables. Each delivery kit will be specifically prepared according to nutritional requirements.